Our range of services extends from routine eye exams and eyeglasses all the way to complex surgical care for all your eye care needs. The eye is an amazing and complex portion of our anatomy. To live up to our promise of providing you with exceptional eye care, welcoming customer service and life-changing eye doctors, we have several other eye doctor services to tell you about. Take a look below to learn more. Below, you will find information on keratoconus, our pediatric services, our adult eye care services, our senior eye care services, and eye muscle problems patients may face. The eye doctors and eye surgeons at the Marietta Eye Clinic provide eye muscle disorder evaluation and surgery. With over 50 years in practice, our physicians and eye surgeons provide expert care for your vital eye muscles. Our professionals specialize in eye care services for children and babies. Caring for children’s eyes is known as pediatric eye care. Our pediatric eye doctors and surgeons diagnose and treat childhood eye diseases and disorders. As adults enter their middle-aged years, their vision slowly degenerates. Even if you’ve never experienced eyesight problems, you may find yourself reaching for readers. 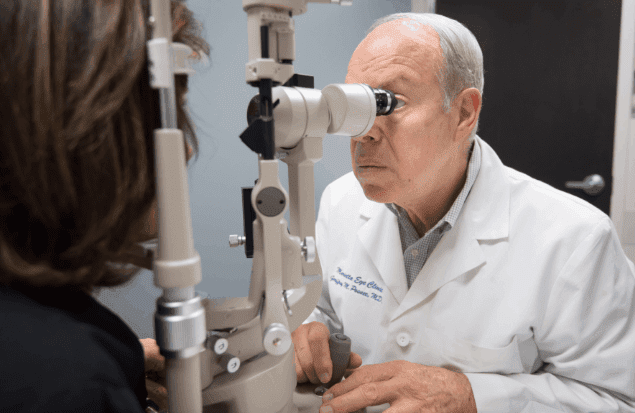 At Marietta Eye Clinic, eye doctors and surgeons research, diagnose and correct vision impairment problems for adults. As we age, our eyesight diminishes. But, now more than ever, it doesn’t have to. Our eye doctors and surgeons specialize in vision-improvement surgeries and treatments for seniors. If you are age 50 or older, even if you aren’t experiencing vision problems, schedule a visit for a comprehensive dilated eye exam.